If you read this blog regularly, you probably remember seeing a couple posts about Joseph Gordon Levitt. He was my first TV show crush (when he was on 3rd Rock from the Sun), and remains a solid crush today. I forget he first appeared on the big screen in A River Runs Through It in 1992 (my aunt was also in this movie). He received the Young Artist Awards for “Best Actor Under Ten” for this work. Good job lil’ JGL! 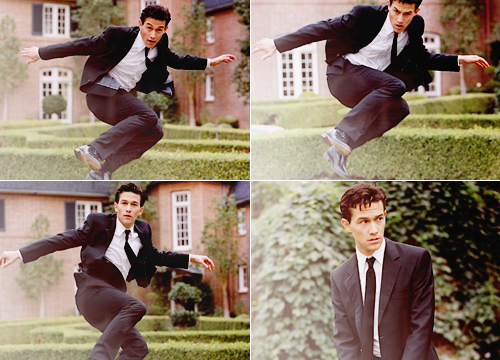 Not only is Joseph Gordon Levitt a good looking actor, he also has mad style. He wears suits that work well for his body type and dresses up better than a lot of other red carpet regulars. His vests always catch my eye (I love a man in a good vest). To get Joseph Gordon Levitt’s look, aim to find a balance of polished and casual. Grab a structured blazer, layer it over a button up shirt, straight leg trousers (or jeans), and finish with a key accessory. Day 12 of the 30-day Blogging Challenge asks that I share my celebrity crushes. Regular readers my remember an earlier post I wrote about my main celebrity crush, Joseph Gordon-Levitt. He will continue to be my main celebrity crush. Everything about him is just dreamy. He’s a great actor, he’s directed a short film that was selected for the Sundance Film Festival in 2009. He runs hitRECord.org, an online collaborative production company that shares its profits with contributing artists. He just sounds like a cool guy, doesn’t he? My other main actor musician crush is Jason Schwartzman. He first won my heart in Rushmore in 1998. I think I’ve liked everything he’s been in, including Phantom Planet and Coconut Records. 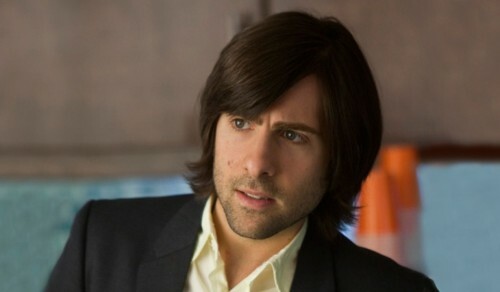 I guess I have a thing for smaller, dark haired dudes…maybe it’s becuase I’m so blonde. At work on Friday, we had a staff meeting to go over our 2010 Marketing initiatives (which excite me because there is a huge SEO and Social Media push this year, which is new to our company…and fall in my world). As always, we started the meeting off with an awful ice breaker. The information we had to share with the team was who our first TV Show crush was growing up. Of course I was sitting in the front of the room, so I was elected to share first. I was madly obsessed with boys at a very young age, so I’m sure there are a handful of crushes I can’t remember at this point. The first actor that came to mind was Joseph Gordon-Levitt. I grew up watching him in 3rd Rock from the Sun, and loved loved loved his long hair. No one else on my team seemed to share this crush with me…probably because most of my co-workers are a decade plus older than me.